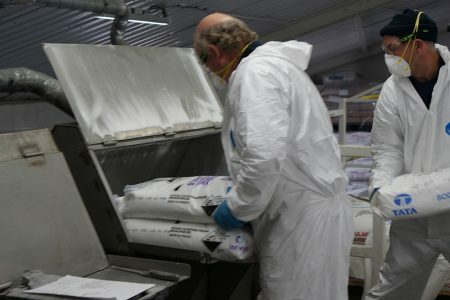 Our purpose-built dedicated production facility has a powder blending capacity of up to 2,000kg plus grading and packing to manufacture your products. 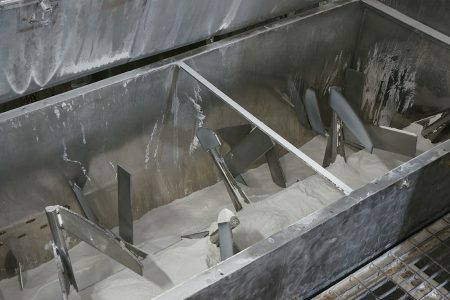 From pilot scale batches through to full production runs, we offer powder blending produced to your specification, or developed to your brief by our skilled technical team. It is all managed with total confidentiality. In our dedicated 600 square metre powder facility, we have the capability to blend numerous powder products with a capacity in excess of 10te/day. We are also able to pre-blend liquids into absorbent powders. Three stainless steel horizontal ‘U trough double helix’ blenders with a capacity ranging from 250kg to 2,000kg, catering for both hazardous and low hazard products. All ancillary equipment is available to facilitate safe and dust free movement of blended powder into the finished pack. 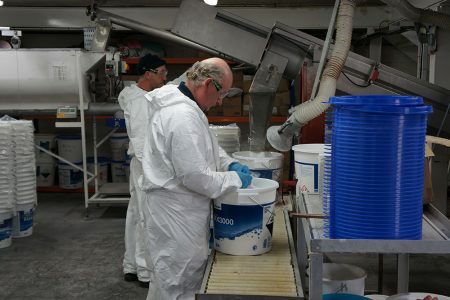 As well as general blending and mixing, we are able to grade products and pack into a variety of containers, from 1,000kg bulk bags, through 10 – 25kg buckets and sacks, down to 500g jars. Some of the products made in this facility include construction products, animal feedstuff additives, dairy farm cleaning, household cleaning, metal processing and many more. We are always happy to talk about your specific needs.